BREAKING: ARIZONA SUED BY ABUSED FOSTER CHILDREN! 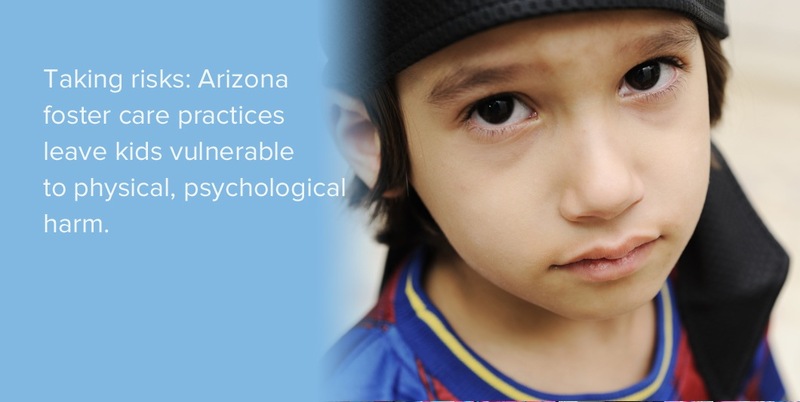 The Associated Press and many other media outlets today (February 3, 2015) have announced that a federal class-action lawsuit was filed against the directors of the Arizona Department of Children's Services and the Department of Health Services by ten foster children in Arizona. The children in the lawsuit are represented by the groups Children's Rights, the Arizona Center for Law in the Public Interest, and Phoenix law firm Coppersmith Brockelman PLC. Arizona's treatment of foster children is so bad it actually puts kids at risk of greater harm, says the federal class-action lawsuit. The lawsuit, which names as plaintiffs 10 foster children ages 3 to 14, said the agencies failed to address ongoing failures. The suit also accuses the state of a "widespread failure to engage in basic child welfare practices aimed at maintaining family relationships." That includes placing siblings together, trial reunifications with parents, adequate visitation between children and biological families, and having caseworkers visit parents to work toward reunification.